So many of our rescued setters come to us heartworm positive and then need to go through a lengthy treatment and recovery process in their foster home before they can be adopted. 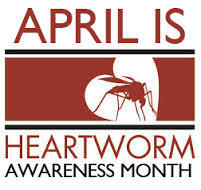 Did you know that heartworms can be transmitted by one bite from a heartworm-infested mosquito? Did you know that heartworms are found in all 50 states? Did you know that heartworms can be prevented through a relatively inexpensive dose of monthly heartworm preventative? Did you know that the heartworm treatment and recovery for an infected dog is painful, not without risk and expensive? Did you know that heartworms will eventually kill a dog, if left untreated? Please click on the American Heartworm Society’s page to learn more about heartworms and what you, as a caring and concerned pet owner, can do.